this has nothing to do with daily laziness, but with the fact we were preparing some cool things. most important: we're playing a show in april. on the 20th in paderborn in the kulturwerkstatt. 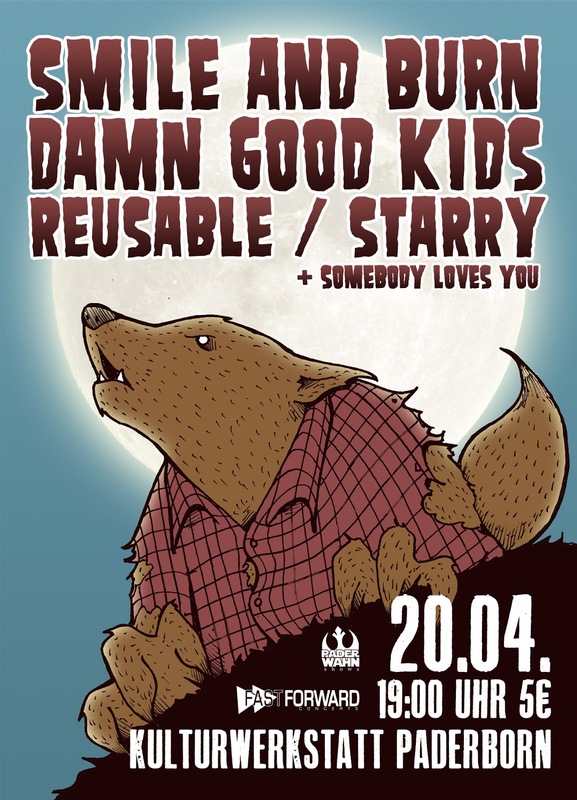 reusable and damn good kids from paderborn are playing as well, also starry from essen are playing and smile and burn from berlin. we are so excited! 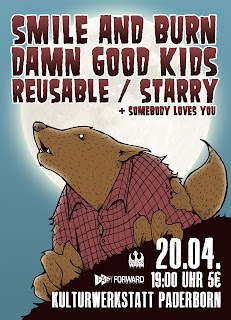 stagetime will be 0 o'clock or something like that, because we will play after smile and burn. come to the show and watch all bands, because they're all insane! moreover we're talking about making a little music video for one of the songs from our lp 'golgotha'. and we already have enough songs for another ep. hopefully we'll play some more shows in summer. btw: krist saw 'tocotronic' the other day. could be that our new songs have some distorted surf guitars in it and will be called 'wir sind hier nicht in ontario, thorsten' or 'stürmt die schützenhalle'.